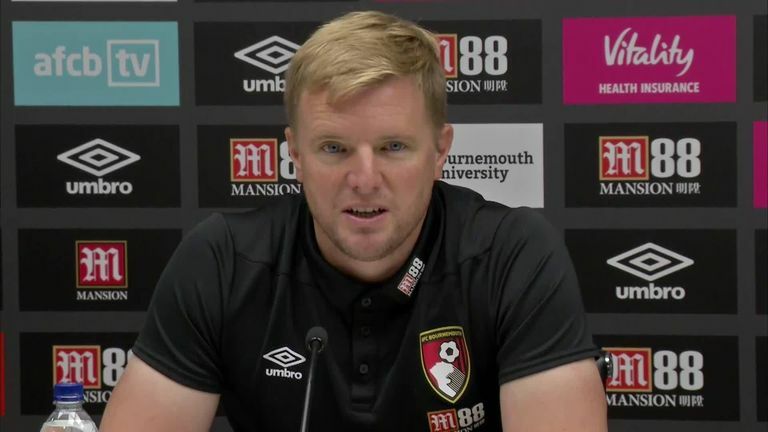 Bournemouth manager Eddie Howe says Junior Stanislas is back in training and closing in on a return to action. But the midfielder won't be in contention for the visit of Leicester on Saturday, Ryan Fraser is a doubt, and Charlie Daniels is unavailable. Stanislas has just signed a new contract which will keep him at the club until 2021 but has been out since March with a knee injury. And Howe said: "During the international break, one of the big positives for us was that Junior joined in training and did really well. "We did a maximal test during that break and he came first in that, so that was a really good sign, and shows he has done his rehabilitation with the best possible attitude. "He won't be available for this game but is making the right progress. "Ryan Fraser had a hamstring problem (while on international duty), so he has been with the physios. "Charlie has had a niggle. He picked up a knee problem and we haven't seen him during the international break." Bournemouth are sixth after a good start to the Premier League season but lost at Chelsea in their final match before the break. Howe does not expect it to be easy to bounce back against a Leicester team who are just one point behind. "The games against Leicester have always been, in my opinion, entertaining," said Howe. "Two good teams going against each other. "Tactically, really interesting to play Leicester. I do think they have changed under (manager) Claude Puel. "They have been a counter-attack team, now they are more possession based, with the counter-attack threat still added in there. It makes them a dangerous team to play against. "I respect Claude and the job he has done there and I respect their players, I think they have got a really good team. "Any home game is a massive moment for us. We have still got a lot to prove, we have achieved nothing yet. "We would love to put on a really good performance."